(Reuters) - The U.S. government has ordered a national security review of Singapore-based Broadcom Ltd's (AVGO.O) $117 billion bid for Qualcomm Inc (QCOM.O), in an unusual move that would require Qualcomm to delay its March 6 shareholder meeting. The government action on Sunday highlighted growing U.S. concerns about safeguarding semiconductor technology and cast a doubt on the deal's success. The Committee on Foreign Investment in the United States (CFIUS), which reviews deals for potential national security concerns, rarely reviews mergers before companies have clinched an agreement. CFIUS asked Qualcomm to postpone its shareholder meeting, scheduled for Tuesday, by 30 days. Reuters reported last week that CFIUS had begun looking at Broadcom's bid as pressure grew from politicians, including senior Republican Senator John Cornyn. "This measure will afford CFIUS the ability to investigate fully Broadcom's proposed acquisition of Qualcomm," the U.S. Department of Treasury, which oversees CFIUS, said in a statement. The semiconductor industry is locked in a race to develop chips that power so-called 5G wireless technology, allowing the transmission of data at faster speeds. 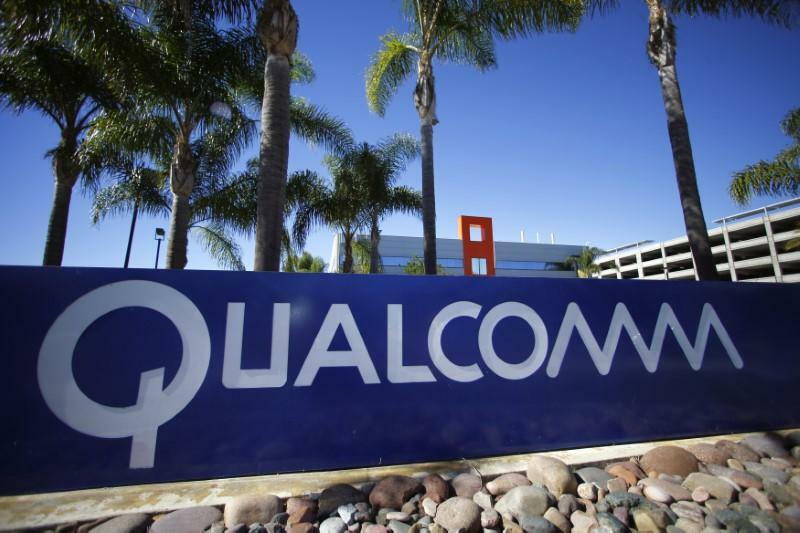 San Diego-based Qualcomm has emerged as one of the biggest competitors to Chinese companies vying for market share in the sector, such as Huawei Technologies Co [HWT.UL], making it a prized asset. A source familiar with CFIUS' thinking said that if the deal was completed, the U.S. military was concerned that within 10 years, "there would essentially be a dominant player in all of these technologies and that's essentially Huawei, and then the American carriers would have no choice. They would just have to buy Huawei (equipment)." Additionally, U.S. officials speaking on the condition of anonymity said members of Congress and Federal Communications Commission officials were concerned that Broadcom could sell part of Qualcomm to a Chinese firm. Such a move could hurt the U.S. effort to develop 5G wireless technology because of the small existing number of suppliers that build the hardware. A CFIUS review in itself does not mean a deal will be halted. CFIUS, under former President Barack Obama and current President Donald Trump, has soured on high-tech deals, particularly involving semiconductors, or involving sensitive information about American citizens. Part of CFIUS' current concern, which is echoed in a letter Cornyn sent to Treasury Secretary Steve Mnuchin last week, could lie in the fact that Broadcom has failed to strike a deal with Qualcomm. Instead, Broadcom has resorted to what is essentially a hostile takeover by putting forward a slate of six Broadcom nominees for Qualcomm's 11-member board. Broadcom shares closed down 1.6 percent, while Qualcomm fell 1.3 percent. Cornyn said on Monday he was glad CFIUS had decided to review the deal, noting aggression by "international rivals, like China." "I support the idea that the committee on foreign investment takes a close look at that to see that American interests are protected," he added. Broadcom has struggled to complete its proposed deal to buy Qualcomm as the latter has resisted, citing several concerns including the price offered and potential antitrust hurdles. Broadcom said on Monday that CFIUS' intervention was the result of secret moves made by Qualcomm on Jan. 29 to seek an investigation into the offer, which Qualcomm's board has said significantly undervalues the company. But Qualcomm, in a press statement, said "Broadcom's claims that the CFIUS inquiry was a surprise to them has no basis in fact" and that Broadcom had been interacting with CFIUS "for weeks." Before Broadcom disclosed its buyout offer for Qualcomm in November, Trump himself announced Broadcom's plan to shift its headquarters back to the United States after a White House meeting with Chief Executive Hock Tan. Trump praised the move at the time, calling Broadcom "one of the really great, great companies." U.S. Senator Tom Cotton said on Monday he backed the panel's decision to delay a Qualcomm shareholder meeting, saying "Qualcomm's work is too important to our national security to let it fall into the hands of a foreign company." MOVING BACK TO THE U.S.
Broadcom said on Monday it is run by a board and senior management team consisting almost entirely of Americans and is largely owned by the same U.S. institutional investors that own Qualcomm. "Broadcom continues to pursue the redomiciliation process as expeditiously as possible," Broadcom said. "Upon completion of the redomiciliation, Broadcom's proposed acquisition of Qualcomm will not be a CFIUS covered transaction." Qualcomm, which has told shareholders it is open to the merger at the right price and terms, said last week it had no intention of delaying the annual shareholder meeting. "Qualcomm now has their excuse to postpone their critical vote, giving them some breathing room to work on its acquisition of NXP Semiconductors NV (NXPI.O), attempt to make progress on their Apple Inc (AAPL.O) licensing issues, and attempt to build a stronger case for shareholders," said Bernstein analyst Stacy Rasgon. Qualcomm on Monday extended its $44 billion tender offer for NXP to March 9, as it awaits clearance from China's MOFCOM, the only regulator globally required to approve the deal that has yet to do so. Qualcomm is also in a legal battle with Apple over licensing and allegations that it has not delivered on promised rebates - seen by analysts as an effort by Apple to undermine Qualcomm's strong position in mobile chips.